The effectiveness of user experience design is dependent on many factors including complete and accurate contextual information, design approaches, and methods followed. 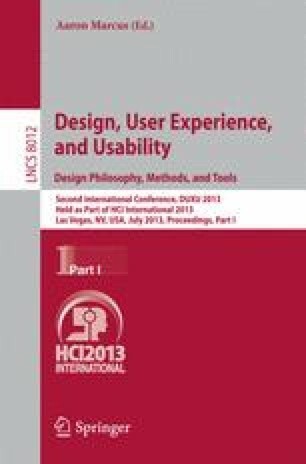 The recent HCI literature clearly shows that there is a growing research interest on integration of User Experience (UX) design and agile software development. A framework based on design thinking is proposed that enhances the current user experience design by integration of three design approaches - design thinking, designing for user experience and agile software development. These three different design approaches of the framework complement each other to benefit effective derivation of contextual requirements that include functionality of the system as well as aspects of total user experience based on the shared understanding gained from stakeholders in the context. Implications of each design approach on stakeholders and the context are discussed in detail to show the significance and value of the proposed framework on the whole design and design process. It is expected that the proposed framework is capable of enhancing the design quality and user experience of products, systems, and services created through agile software development approaches.